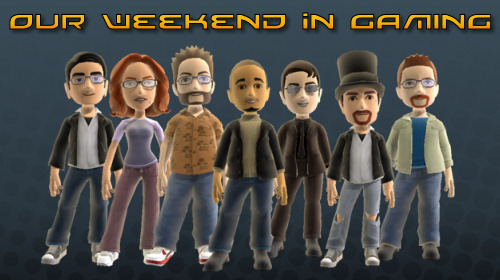 The weekend stretches ahead, full (we hope) of free time for gaming. Here are the games of choice for Co-Optimus staffers. Nick - "Getting to see some family this weekend I haven't seen in a while so we'll check out some DJ Hero co-op and possibly Marvel Ultimate Alliance 2. I plan on enjoying some Uncharted 2 in both single and multiplayer"
Marc - "We'll be out of town this evening, which limits me to Fire Emblem on my DS. When we return, Guitar Hero Van Halen and more of the Left 4 Dead 2 demo!" Mike - "It'll be a bit of a light weekend for me, but I'm definitely going to be playing more Borderlands and perhaps gun through the Left 4 Dead 2 demo a few more times." Jim - "I'll be playing Star Wars Battlefront: Elite Squadron for PSP, Call of Duty 4, and the Left 4 Dead 2 demo." Katrina - "Fairytale Fights will be my big co-op fun (hit up "Shadokat Regn" with a message to play Fairytale Fights if you have it!) Otherwise I'd really like to get in some more Overlord 2 or Batman: Arkham Asylum." Jason - "Borderlands whet my appetite for dungeon crawl/loot-whoring so I picked up Torchlight earlier this week so I'll be getting my fill of it this weekend. I also need to play through the latest chapter in the Tales of Monkey Island, and hopefully checking out the Left 4 Dead 2 demo with some folks instead of comp AI."